View More In Wipes & Holders. 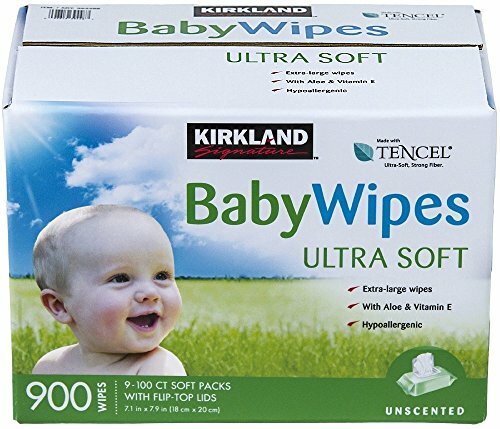 Kirkland Signature Baby Wipes are made with 70% Tencel® fiber, a naturally soft, environmentally friendly fiber. The fiber is a 100% renewable resource made from wood pulp. These wipes are ideal for your baby's delicate skin. They are hypoallergenic, alcohol, chlorine and paraben free. They also contain aloe and vitamin E. The result is a silky smooth and super-strong wipe.